PEACHTREE CITY, GA. (Dec 1, 2016) — The Commemorative Air Force (CAF) Dixie Wing Museum is participating in a online giving campaign beginning today through the month of December to support the organization’s mission of restoring and flying vintage military aircraft. Help support a WWII “Hometown” hero! Located at www.supportcaf.org starting today, this campaign provides an opportunity to support the Dixie Wing’s WWII FG-1D Corsair along with the rest of the CAF fleet. The iconic fighter, which during its military service was based in Georgia, is now at the museum in Peachtree City for the past 5 years. This aircraft is part of the organization’s mission to preserve and fly these important aircraft used in World War II for the education and enjoyment of others. The Commemorative Air Force Dixie Wing Museum is restoring the rare 1945 WWII Corsair fighter plane, known as “#530”, and was based in Atlanta at Naval Air Station Chamblee (Now Dekalb-Peachtree Airport). There are fewer than 20 Corsairs in the world still flying and our hometown hero is undergoing a multi-year restoration. The Corsair was made famous in the Pacific Theatre by the Black Sheep Squadron, The Jolly Rogers, The Checkerboards and even flown by Charles Lindbergh. Today the CAF Dixie Wing Museum, a 100% volunteer organization, is launching a campaign to replace the engine and start an overhaul of the aircraft’s airframe and sub-systems. This work, which will take six months and over $100,000, is an important first step. To support this project, please visit www.cafcorsair.org. The United States manufactured more than 300,000 aircraft during WWII to support the war effort. After the aircraft were no longer needed in service, they were stripped, smelted and cast aside. Most of these aircraft have disappeared, along with the important history they represent. The CAF and the Dixie Wing feel it is vital to ensure that these airplanes continue to fly to honor those who fought so valiantly for our freedom. The Corsair occupies an important place in military aviation history as an aircraft that served the U.S. military at home and abroad. Corsair BuNo 92468 (NAVY Bureau Number), celebrated her 70th birthday in July, 2015. Built by Goodyear and designed by Vought, the Corsair was an important fighter in the Pacific theater. The Corsair was flown extensively by the Marines and the Navy. It was known for its high speed and a characteristic whistling sound as it attacked. The Corsair supported the Marines as they stormed ashore on Japanese-held islands, and defended the naval fleet from the Kamikaze scourge. The Dixie Wing Corsair is considered a “Hometown hero:” as it served from May 19, 1950 until January 2, 1952 at Naval Air Reserve Station Atlanta (now Peachtree-Dekalb Airport) training pilots for the Korean Conflict. As one of the CAF’s original acquisitions, 530 has been flown regularly at airshows since the early 1960s. Even though she was originally built to withstand the rigors of combat, and was strengthened to sustain numerous landings on aircraft carrier decks, her years of operation have taken their toll on this airplane. “Our aircraft are maintained and operated by volunteer members who donate countless hours to the meticulous care of each airplane said Wing Leader Jay Bess. “To offset costs, we rely on fundraising events like this. All contributions are tax-deductible and go directly to our educational mission, so generations of Americans will value and support the contributions of military aviation in assuring our nation’s freedom.” The new campaign will ensure that the Corsair will continue to fly, and serve this important mission. The CAF is a non-profit organization dedicated to flying and restoring World War II aircraft. 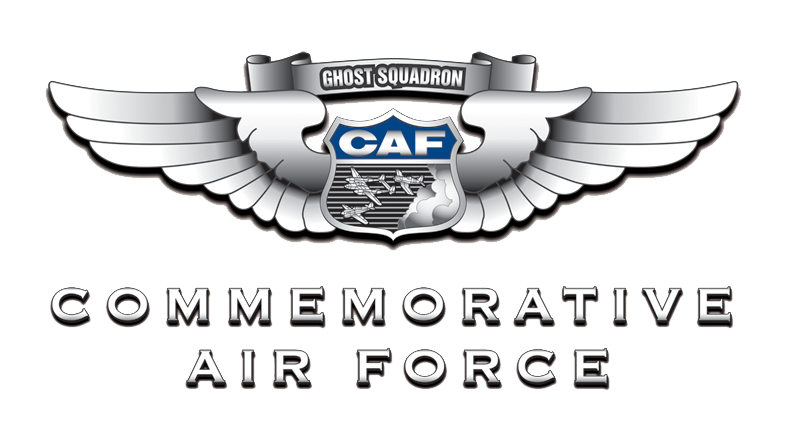 Based in Dallas, Texas, the CAF has more than 13,000 members and operates a fleet of more than 165 World War II aircraft. The CAF was founded to acquire, restore and preserve in flying condition a complete collection of combat aircraft that were flown by all military services of the United States, and selected aircraft of other nations, for the education and enjoyment of present and future generations of Americans.